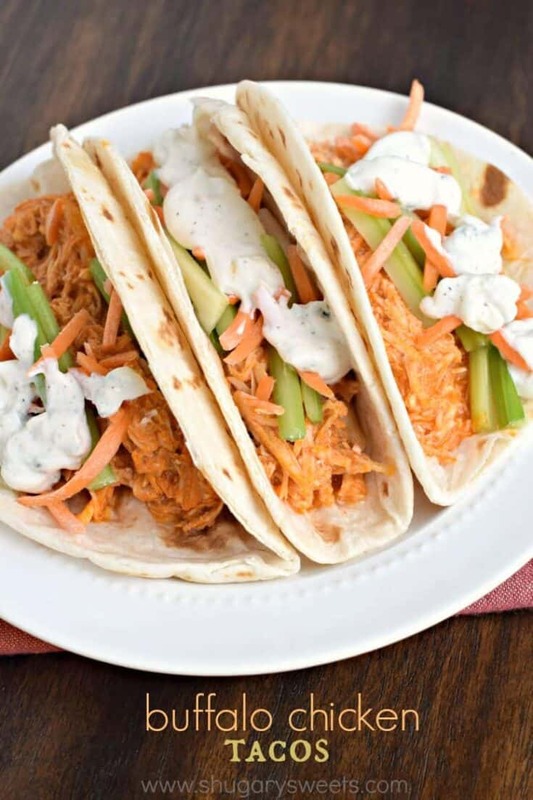 These delicious Buffalo Chicken Tacos are a cinch to put together! 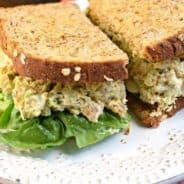 Cook up some shredded chicken in your slow cooker tonight, then whip up some of my homemade blue cheese dressing! A fun twist on a game day classic! It’s no secret that I love using my crockpot to make dinner. It doesn’t matter the time of year, in winter I make tons of soups and stews…and in summer I do more shredded chicken and pork. Last year I learned a little trick about shredding chicken. 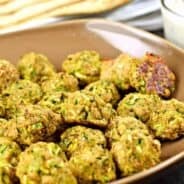 After cooking it all day in the slow cooker, and it’s super moist and tender, you can toss it into your electric mixer with the paddle attachment for a minute or two. I turn it on low, and seriously within a minute, you have perfectly shredded chicken! These tacos come together in no time too. I used a bottle of Sweet Baby Ray’s Buffalo Wing sauce with my shredded chicken. 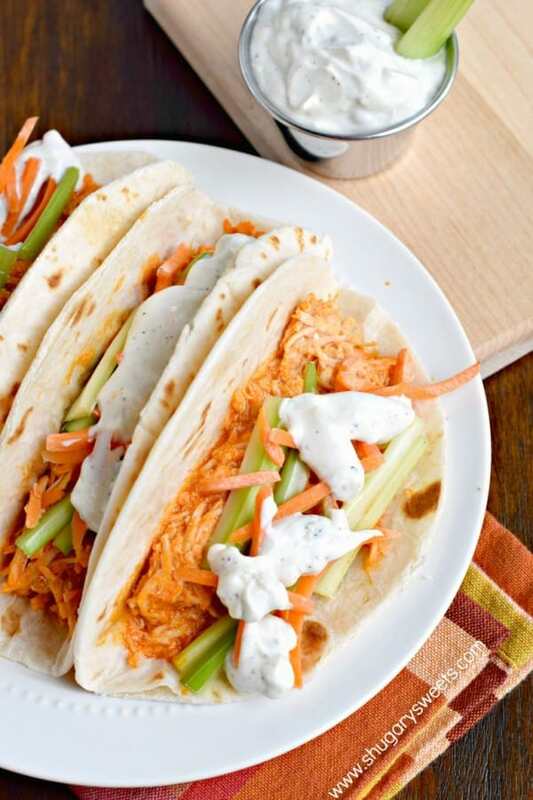 I topped these tacos with some carrots and celery (for a little crunch) and some homemade blue cheese dressing to cut some of the heat (in a hurry, you can use your favorite store bought blue cheese dressing if you prefer). 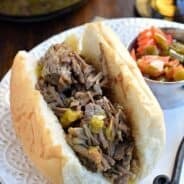 What are some of YOUR favorite slow cooker meals? In a large slow cooker, add chicken breast. Cover and cook on low for 6 hours (up to 8 hours if you don't open the lid). In a small bowl, combine sour cream, mayo, pepper and salt, and blue cheese. Mix until combined and refrigerate one hour or more. After 6 hours, remove chicken from cooker and shred (I use my kitchen aid mixer with paddle attachment on low). Return to the slow cooker and add in buffalo wing sauce. Mix until combined. Heat another 15 minutes. Love Tacos? 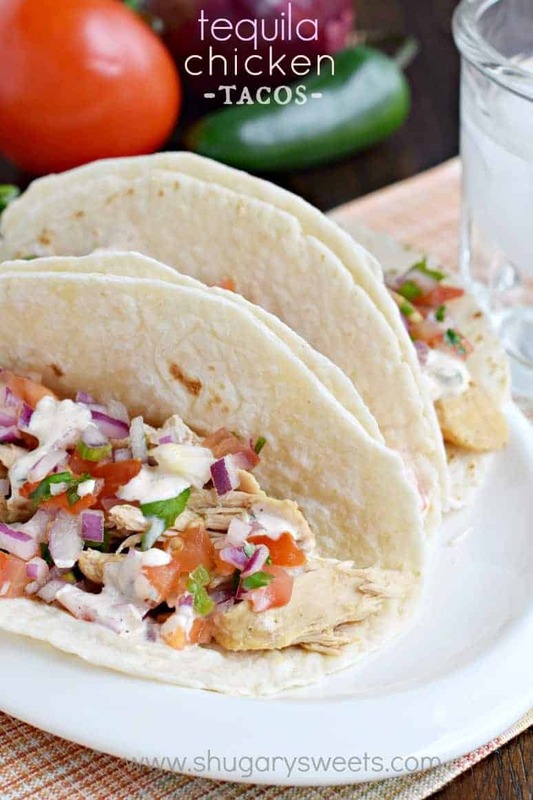 These Tequila Chicken Tacos are a family favorite! Wow, these sound so yummy! 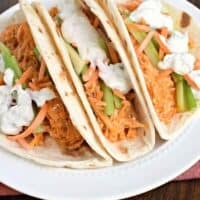 A nice twist on tacos for sure! These look really fabulous, Aimee! Thanks for the inspiration! That mixer tip is the only way I shred chicken now too! And I love easy these tacos are to put together…thank you Ninja!!! Yay Ninja!! Seriously the best slow cooker ever! Oh yum! i must try making it. Love that this is made in the slow cooker! Also love your chicken shredding tip. 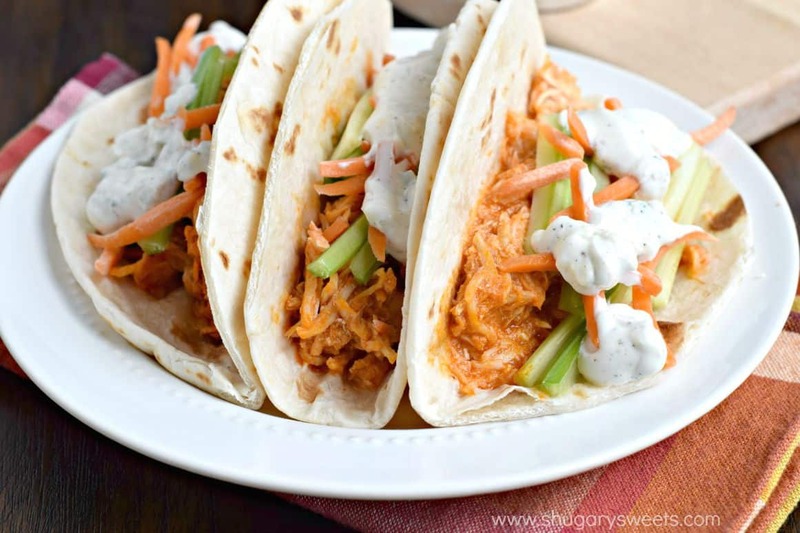 Buffalo chicken is my life (or at least I wish it was…) I will be making these ASAP! I can’t help but think how fab these would be for game day!! Love this!! Anything buffalo chicken is a hit at our house! I need to add these tacos to our menu soon!